My Favorite Pet Collection is the collection for you if you love pets - all kinds! Mix and match to get the kits that fit your pet needs! 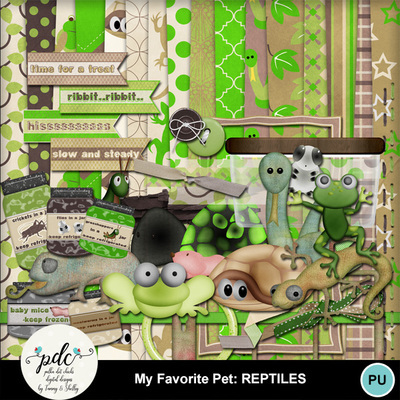 This is the reptile kit! Perfect for your reptilian friends....pick up the solids and alphas to coordinate with the kit.